At heart I am the girl who loves a good love story. Reading fairy tales as a child has probably wet my appetite for seeing that despite the obstacles love can find a way and you can live a happily ever after. Roo has always loved storybooks, looking at the pictures with whichever story book we reading and listening to the story unfold. As she has learnt to read and is now a confident reader it is lovely to watch her read a story loud. Listening to her voice change as she gets more involved with the storyline and becomes excited to know what is going to happen next. The simple retellings provide enchanting introductions to favourite characters – they will love finding out whether Little Red Riding Hood will get the better of the wolf, and what happens when a prince climbs in to Rapunzel’s tower. As well as including classic princess tales, Storytime features tales of Goldilocks, Little Red Riding Hood and Snow White. These stories demonstrate how love can take many different forms. For example, Snow White’s friendship with the seven dwarfs or the unconditional love from Goldilock’s parents, even when she makes a mistake. At only 24 pages long, these books are perfect for parents to share with children who are starting to recognise words, or for independent readers to read aloud with confidence. Charming full-colour illustrations throughout bring each timeless tale to life. With a RRP of just £1.99, these miniature classics are the perfect bedtime. 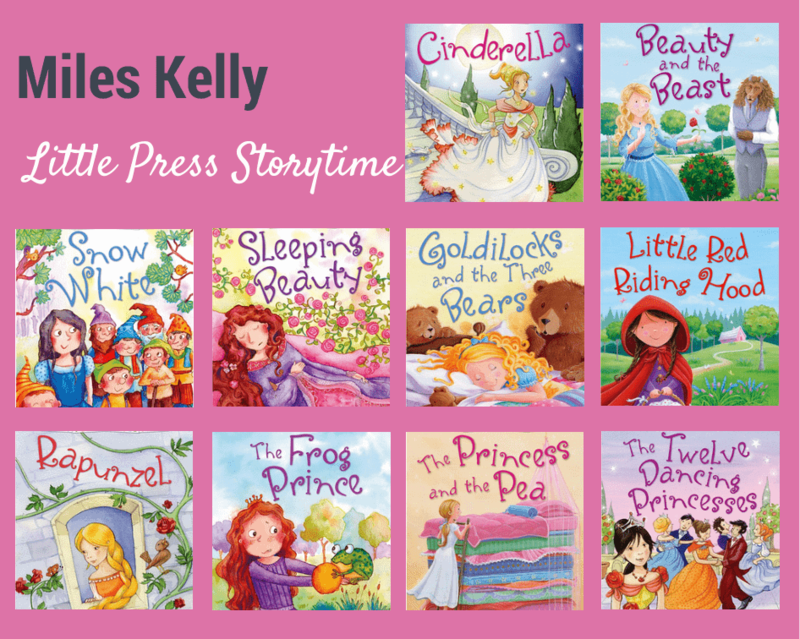 Disclosure: We received the Little Press Storytime series FOC for the purpose of review. I love the illustrations on these books. So colourful. Might even entice my reluctant reader youngest daughter to have a go!